Optimum protection against ambient noise makes the closed-design eH 2200 especially suitable for personal headphone monitoring during live performance or recording sessions - or for club DJs. At just 140 g (4.5 oz), the lightweight, almost unbreakable design offers unsurpassed listening comfort. Inside, neodymium magnets ensure a fast transient response and commanding dynamic range with any source. Detachable Kevlar-reinforced connection cable can be replaced easily, like all other component parts of the eH 2200. - Closed design dynamic stereo headphones cover ears for critical monitoring with reduced ""spill"" from external sounds (-25 dB max.). - Comfort fit for extended monitoring sessions. - 3 m Kevlar-reinforced, detachable cable. i can really recommend this this Ear-Phones, unless u really need closed headphones. These Headphones deliver quite a linear sound, with great mids. I use them for pre-mixes at the House of Opera in Hannover and if they're good enough for that, they should be good enough for average listeners. Don't buy them, if you're into bassheavy music like Hip-Hop, house or anything. And they last long. Mine for nearly 10 years now. I' m sorry but I will have to TOTALLY disagree with all your negative comments! These wonders sound like a million bucks to my 35 yr old ears. Yah right, no head-blowing bass here and treble is extended indeed. Long cable is an extra bonus, very confy indeed. This baby needs a decent headphone amp to be driven or a high quality source, just like my SA series Marantz SACD. But it does deliver...and then some. Forget these multi thousand towers called speakers. If those were anywhere as flat and realistic as these cans I would be extemely happy. You will not find a more comfortable headphone for $50. Sound is very flat. Very transparent sound, you forget your wearing them. Did I mention they are very comfortable. Apples to oranges in this price range. If you are looking for extremely comfortable, low cost that sound fairly good these are the perfect headphone. I do not understand some of previous reviews. The bad review are probably due to the price class competition. In the $50 price range people expect loud bass heavy headphones that drive with low power. In reality the flat frequency response is more common to much more expensive headphones. In reality the response of these headphones is very flat even compared to headphones costing twice as much. The bass is not weaker...its even...the way it is supposed to be. The midrange is very transparent and the highs are high in some place and lower in others. Make sure you break them in. Connect them to a stereo at slightly louder volume than normal and leave them there all night. Start using them after a FEW HOURS will notice how your ears still do not hurt and the sound is transparent and the bass is not shaking your head. All in all they are very friendly to use. These are ideal for work: listening to jazz, classical and lite rock. I double dog dare you to find any headphones this comforatble in this price range that sound this good. Lightweight and non-fatiguing. Very good resolution especially in the mid-range through the higher frequencies. Bass is not too strong. But for most applications -- that''''s O.K. !! These headphones are very decent providing you plug them into an A/V or two channel stereo receiver! If, however, you use them with a portable CD player or Sony Walkman cassette player -- FORGET ABOUT IT !! The sound quality deteriorates immediately. A quality amplifier results in quality sound inside these headphones. It''''s really that simple! Garbage in, garbage out. Use this well engineered, well designed component and, maximize its overall good quality. Period! nice mids and generally high quality sound, look nice (e). I actually got onto sennheiser when i bought (fairly randomly) a pair of hd200's for my girlfriend for her cd player. Blown away by what they could do I had to have better, and from what I'd read (via senn's website) the eh2200's seemed like the natural progression. AU$50 and on paper seemed better. However after a few listening tests it was obvious that the eh's couldn't keep up with the 200's in almost every way. The bass is pathetic, very nice on the extreme lows and at excessive volume levels but otherwise it's just dead right through the middle low-end range. The treble at very high volume levels however is just painful. These Sennheisers looked great at the beginning but now that i reflect back on it, it seems that I shouldn't have purchased it for the uses I'm putting it through. I'm a mp3, MD, and CD listener and with the occasional DVD use through my laptop. All sounds that are reproduced are extremely bright and clear, treble is definitely not lacking. Especially with classical music, it can bring out the best in any violin or strings section. For contemporary music, though, it fails miserably with bass. Bass becomes muddled and lacks warmth. It definitely seems to be "straining" for something it can't do. 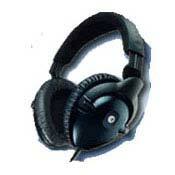 Grab these headphones if you want to hear music with focus on clarity or DVD movies with alot of spoken dialogue. Stay away from it if you want to put it through its paces with media that contains alot of bass. i got these cans to use in subway, i wanted phones that were relatively small and light and ones that would provide good noise isolation on the train. Well small and light they are, but they provide no noise isolation at all. I specifically bought a closed back headphone for the noise isolation that i thought it would give but no, there is none. If you are buying this for home use then noise isolation is not an issue, so lets get to the sound. Bass is weak, only listenable with mega-bass on. Treble is extremely bright (some people, like my father, actually like this) which is irritating and fatigueing for me. When using with equaliser i had to turn treble down by nearly 10db to make it sound right to me. Conclusion: if you want cool-looking comfortable phones and don't really care about sound - get them. If you are a little bit deaf and like bright presentation - get them. If you want more or less natural presentation or want some degree of noise isolation - STAY AWAY FROM THEM.